Can An Employee Rescind Their Resignation? What happens if you are an employee and you have tendered your resignation but subsequently change your mind and wish to remain employed with your employer? What happens if you are an employer and an employee provides notice of their resignation but returns to work stating they wish to rescind their resignation? Can the employee return to work? In order for an employer to prove that an employee has resigned, there must be “clear and unequivocal” evidence in order to establish the resignation. 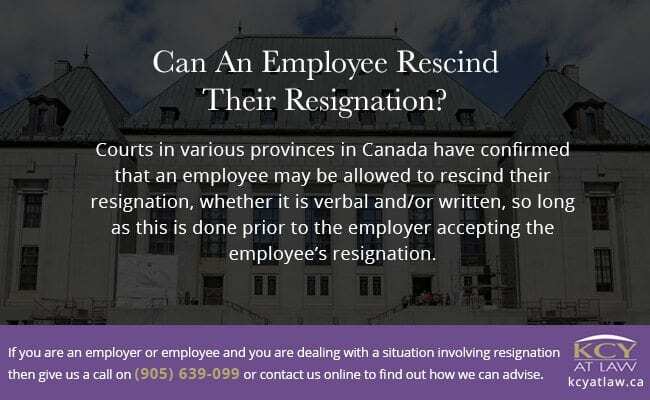 Courts in various provinces in Canada have confirmed that an employee may be allowed to rescind their resignation, whether it is verbal and/or written, so long as this is done prior to the employer accepting the employee’s resignation. This is consistent with the notion that so long as a resignation is not accepted before it is withdrawn, no resignation took place. What this means for employers is that the end of the employment relationship could be characterized as a wrongful dismissal. However, even if the employer has accepted such resignation prior to it being withdrawn, the employee may still be able to renege on their resignation provided the employer has not acted to its detriment following the employee’s intention to resign. In any event, matters involving disputes over resignations are very much assessed on a case-by-case basis and heavily dependent on the facts of that particular case. The Courts will most likely want to see there was clear evidence, before accepting that the employee had resigned, that the resignation was clear and unequivocal and that it was freely and voluntarily provided. Prior to taking any steps following any acts taken by the employee, employers should exercise due diligence and investigate the facts of the situation to ensure the employee truly has an intention to resign and that the resignation is not simply made in the heat of the moment. 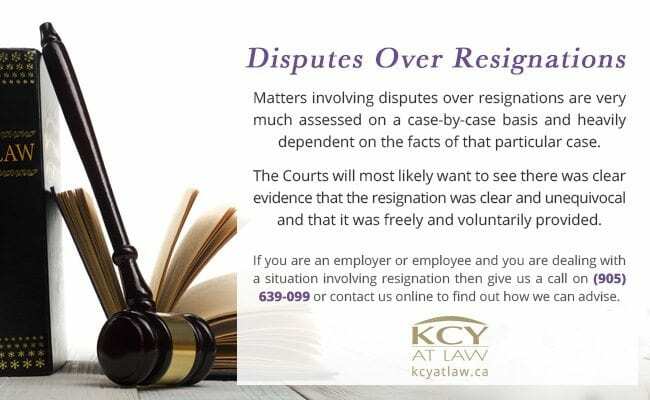 If you are an employer or employee and you are dealing with a situation involving resignation, we at KCY at LAW have the experience and expertise to properly and efficiently handle your matter and provide the advice you need before taking any further steps. Get in touch today by calling us at (905) 639-0999 or contact us online to book a consultation! 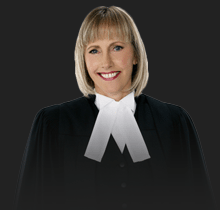 https://www.kcyatlaw.ca/wp-content/uploads/2016/09/Can-An-Employee-Rescind-Their-Resignation.jpg 844 1266 Kathy Chittley-Young https://www.kcyatlaw.ca/wp-content/uploads/2018/01/KCY-at-LAW.svg Kathy Chittley-Young2016-09-21 20:30:092019-03-03 20:26:11Can An Employee Rescind Their Resignation?